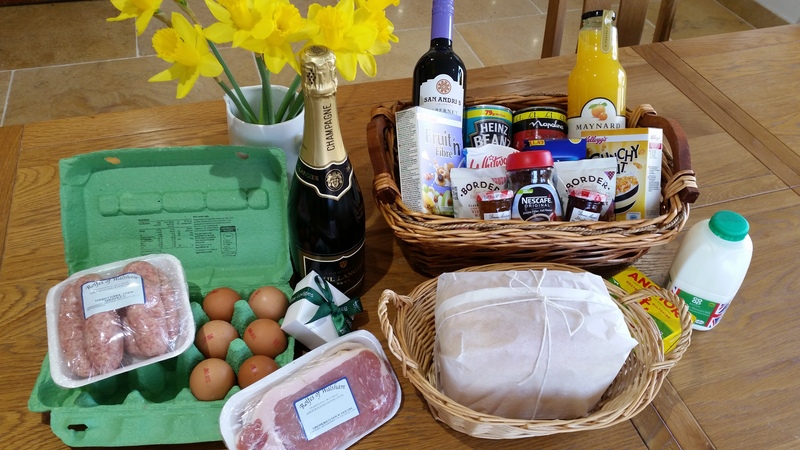 On your arrival at your lodge you will be greeted with a well-stocked Welcome Hamper packed with delicious goodies, locally-sourced where possible. You will have everything you need to rustle up a full English breakfast before heading out for a full day's fishing or exploring the local surroundings. Our Welcome Hampers are a firm favourite and include; a bottle of red wine (if you prefer white we can provide this instead), tea, coffee, sugar, fresh orange juice, tins of baked beans and tomatoes, individual portions of breakfast cereal, biscuits, jam and marmalade, sachets of Ketchup and HP sauce and a small loaf of bread. And in the fridge; sausages and bacon from our local award-winning butchers, a pint of milk, butter and eggs. 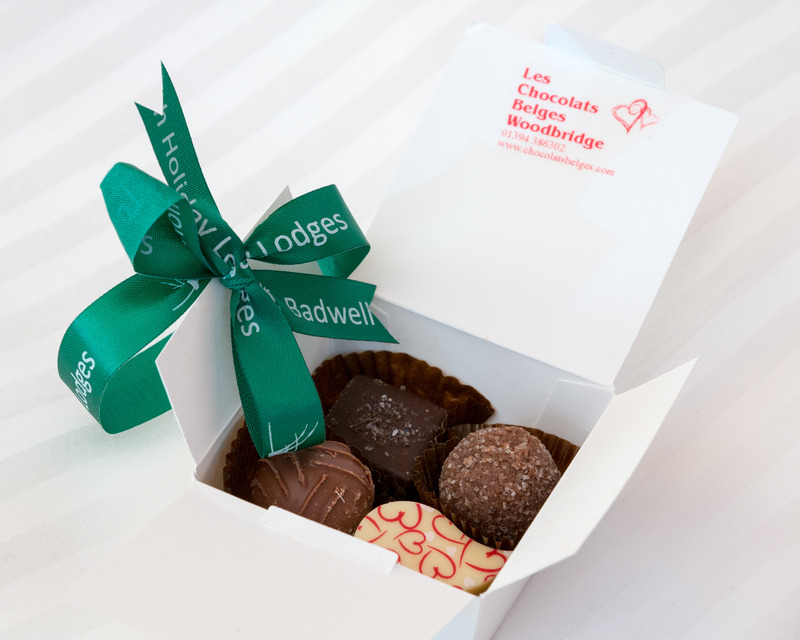 Luxury hand-made Belgian chocolates supplied by our local Woodbridge Chocolate Shop, Les Chocolats Belges and a bottle of chilled Champagne will be waiting for you on arrival at your lodge. Each of our lodges has its own private 6 person outdoor hot tub for your exclusive use during your stay. 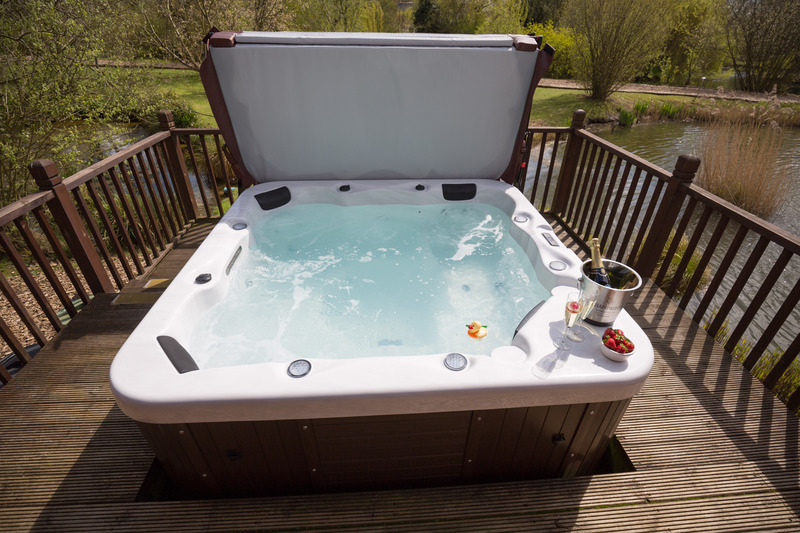 There is no restriction on the times at which you are permitted to use your hot tub; electricity costs are all included and we supply luxurious fluffy white bathrobes, slippers and additional outdoor towels for use with the hot tub. All our lodges are fitted with a steam unit (including radio) in the shower so you can sit, relax and have a leisurely time all to yourself whilst listening to your favourite tunes; after all, you are on holiday! 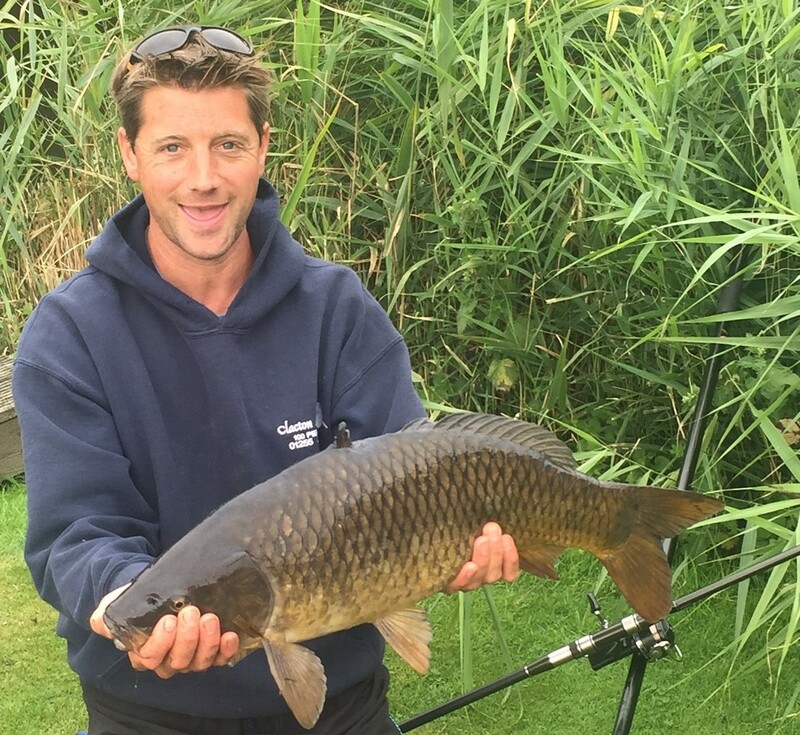 We make no extra charge for guests staying in our lodges who wish to fish. Our lakes (most recently netted in November 2015) have a healthy stock of Carp (weighing up to about 28lbs), Tench, Bream, Perch, Roach and Rudd. Our guests can fish all year round, day and night, from the various swims located around our lakes or at their lodge-side, meaning they are never too far from the hot tub or a cold beer in the fridge! Equipment and a valid Rod Licence are required. We offer the ultimate location for a relaxing recreational fishing holiday. There is free wireless internet access in each lodge so don't forget to bring your tablets, laptops and smart phones. You will be provided with the Wi-Fi access code at check-in. Please note that in this rural area, mobile phone reception here on site varies considerably depending on what network you are with. Each lodge has its own gas BBQ on the veranda for your personal use at no extra charge. No charcoal is required. Gas bottles and utensils are included. 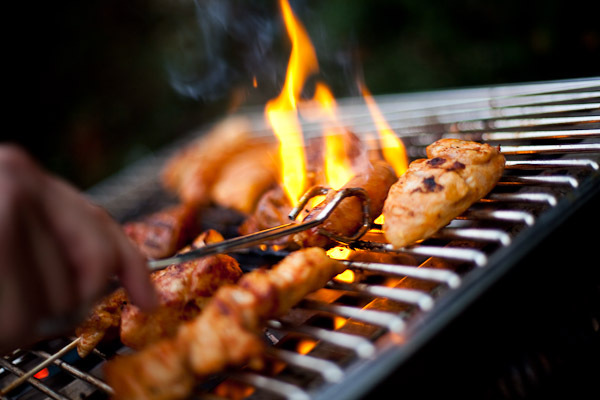 So why not make the most of your BBQ and pre-order a delicious BBQ pack from our local award-winning butchers (see "Holiday Extras" page on our website)? Complimentary miniatures of Duck Island's shampoo, shower gel, body lotion and hand soap are provided, together with shower caps and a sewing kit. Each lodge has a TV and DVD player with Freeview TV. We have a large selection of DVD films to suit all tastes in our Reception for our guests to borrow. So, if it's raining outside, or you fancy a bit of sofa time, why not pop up to Reception and browse our selection? We have 2 bicycles available for our guests to borrow as well as various local Ordnance Survey and other maps available for borrowing from Reception. Please just come and ask. The local area is ideal for cycling; you will be asked to sign a disclaimer and will need to bring your own helmet and lights. Electricity is used for heating the lodges, hot water, cooking and for heating the hot tubs and is fully included in the cost of your break, as is all water consumed during your stay. All bed linen, hand towels, bath towels, towels for the hot tub, dressing gowns and slippers are provided. Although our lodges are fully self-catering, we do provide tea towels, an oven glove and apron. 2 fleece jackets, an umbrella and torch are also available. All these items are provided for your use and comfort during your stay and we respectfully request that they remain in the lodge at the end of your visit. Small amounts of salt, pepper, oil, vinegar, detergent for the dishwasher and washer-drier, bathroom and kitchen cleaning materials, kitchen roll and 2 toilet rolls are included in each lodge. Each lodge also has an Information Folder containing extensive details about all aspects of the local area. We hope you will find that you want for nothing when you come and stay with us at Badwell Ash Holiday Lodges, but of course if there is anything you need during your visit please feel free to come and talk to us in Reception.